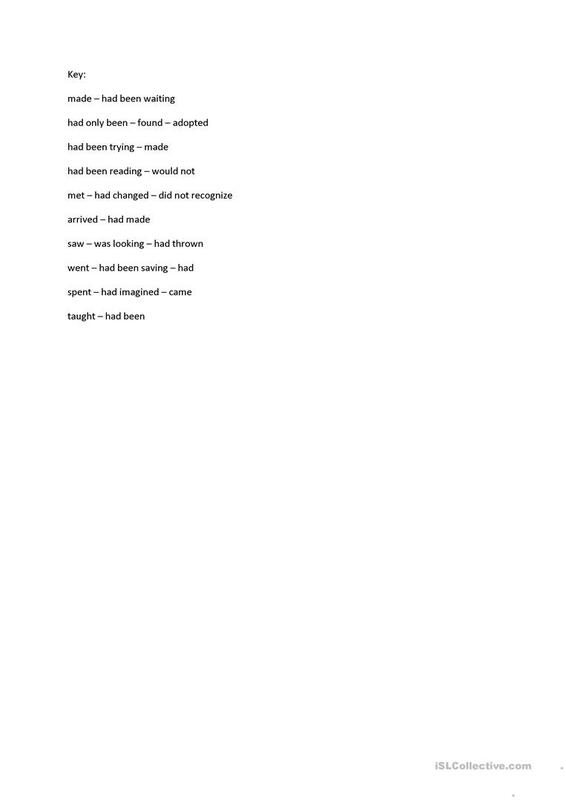 This continues my past perfect practice sheet I. tudents fill the blanks with the correct forms of the verbs given and compare past perfect and past perfect continuous with other past tenses. The reason why this one has fewer downloads and likes is becaue it was uploaded in the wrong category at first. The quality is the same as in the first one. The present downloadable teaching material is best suited for high school students at Pre-intermediate (A2) level. 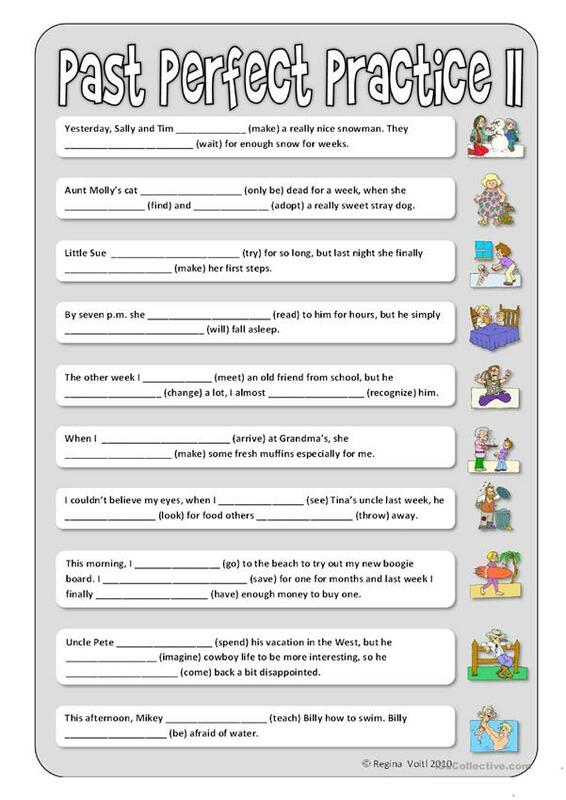 It is a useful material for teaching Past perfect simple vs continuous tense in English. It includes the answer key, too. rv is from/lives in Germany and has been a member of iSLCollective since 2010-08-10 09:01:09. rv last logged in on 2017-04-05 12:30:29, and has shared 11 resources on iSLCollective so far.